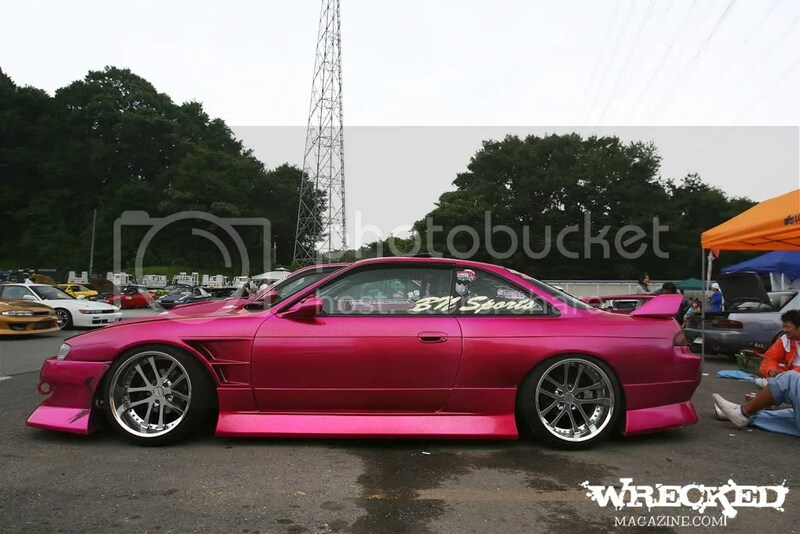 When all else fails, post a pink s14 – Garage Dusty Exciting Car Team! I was going to post some progress pics of my latest decotora model but I failed motivation at school so I’ll do it tomorrow. I’m listening to I Never Heard The Bullet again. Seriously, check these kids out. The link I’ve posted is to their facebook, with a few extra songs. Today wasn’t too bad, work, sure, but if you go to my work (gee, I wonder who I’m writing this to) and can do a bit of detective work you might be able to work out the reason. Let’s just say peace and quiet is nice. One unavoidable conclusion to be drawn from my time back at work after I took a week off, though, is that I am quite possibly unmatched at the art of interpersonal awkwardness. I don’t think anyone has perfected it quite like I have. I’d write a book on it, but I’d probably scare people off at the book signing. In the absence of anything approaching interesting content (aside from the aforementioned INHTB), I shall entertain you, my dedicated reader, with a picture of a ridiculously pretty pink Team Magician S14 wearing massive Weds Kranze wheels. Wow.